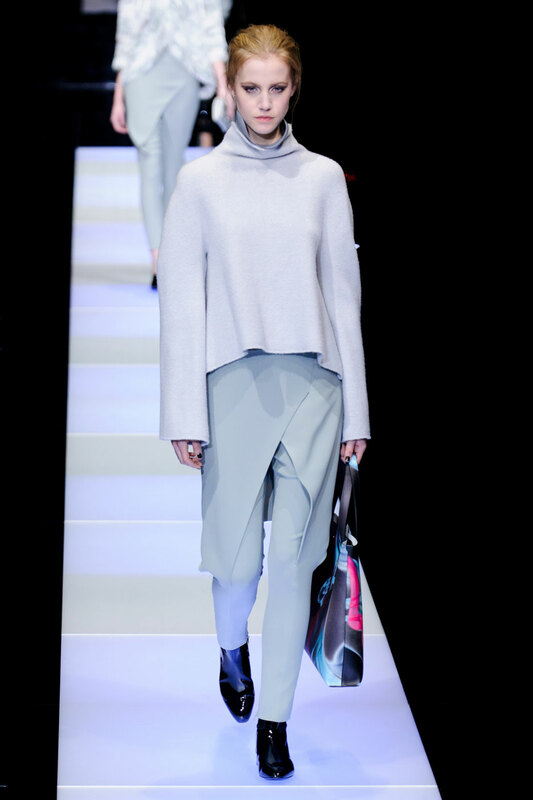 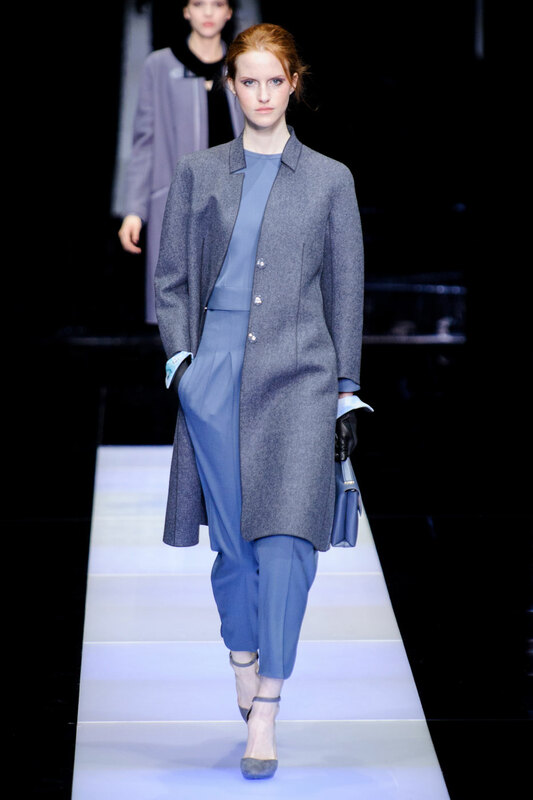 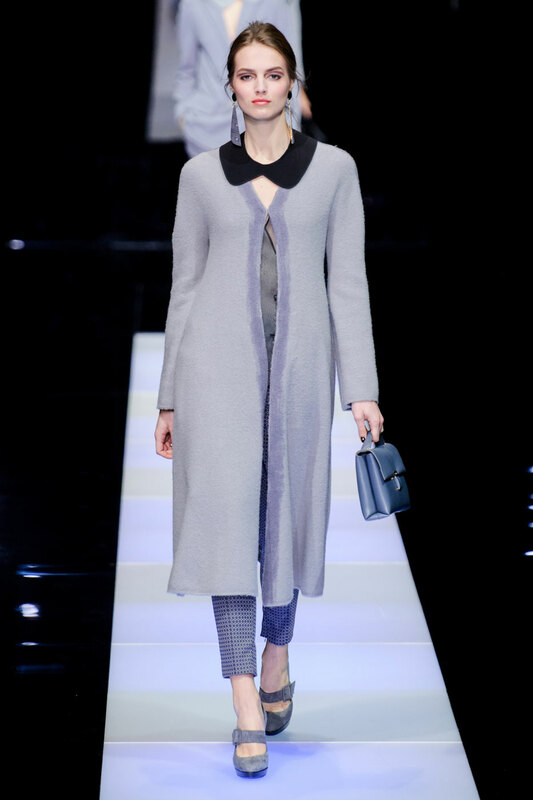 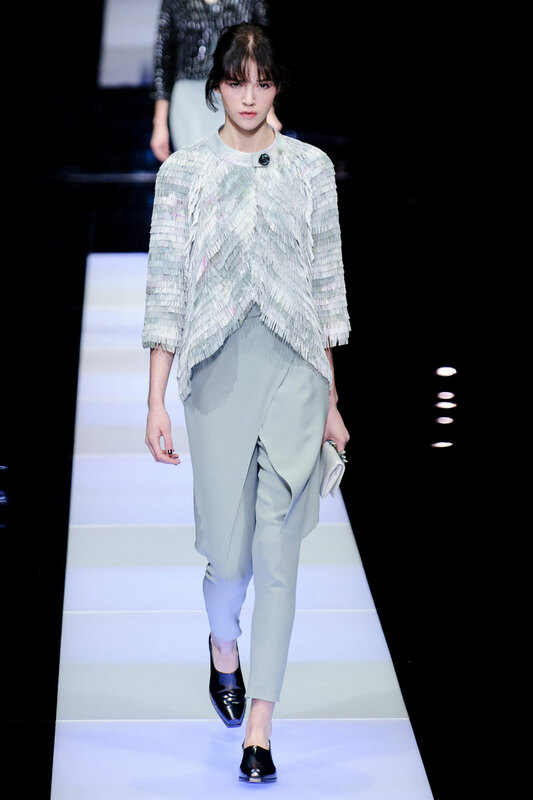 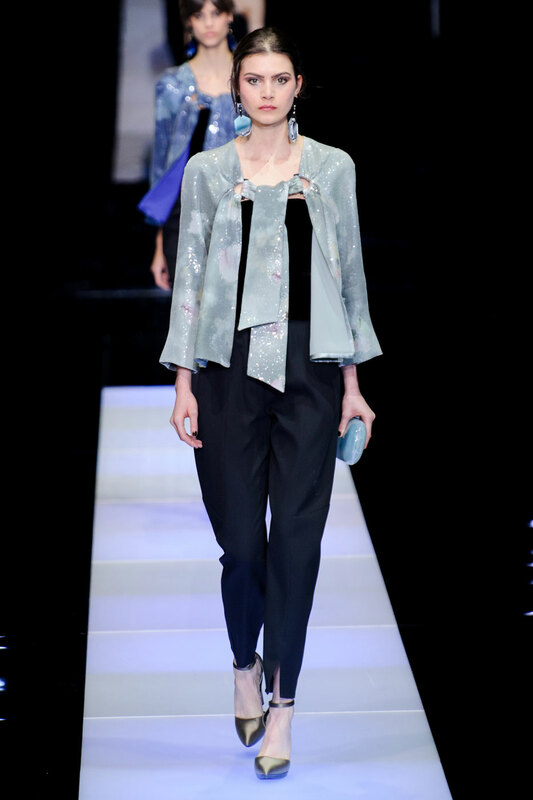 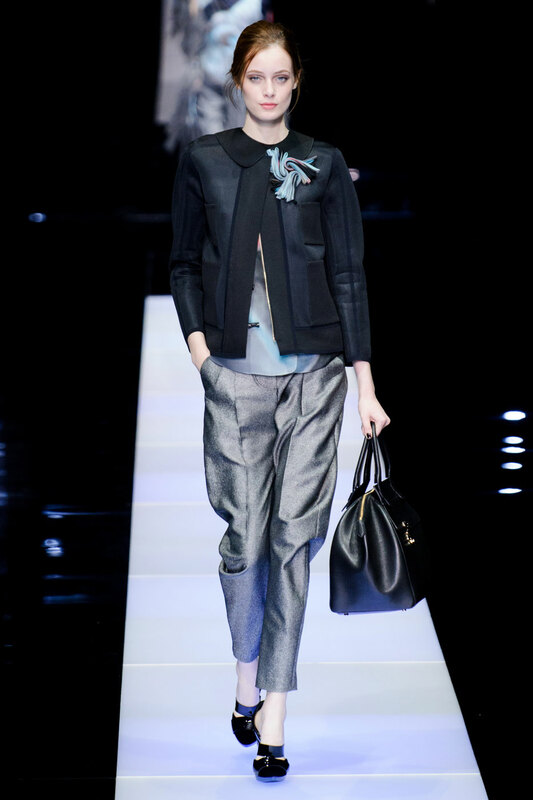 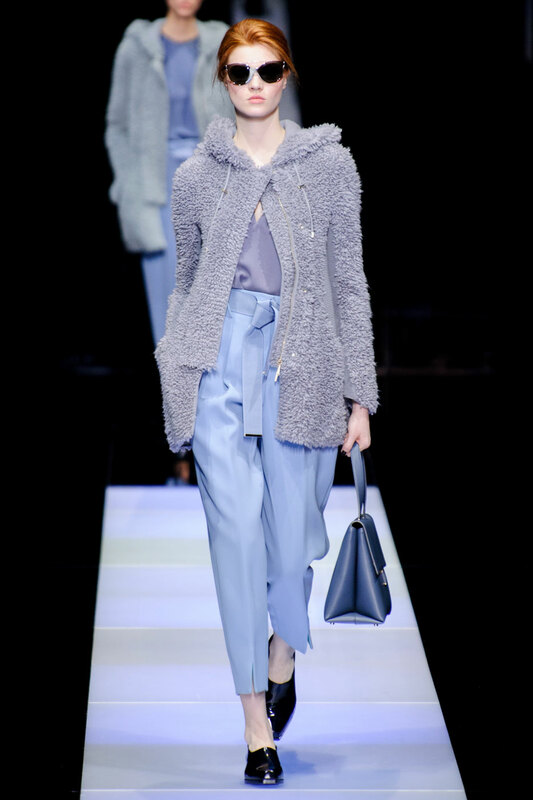 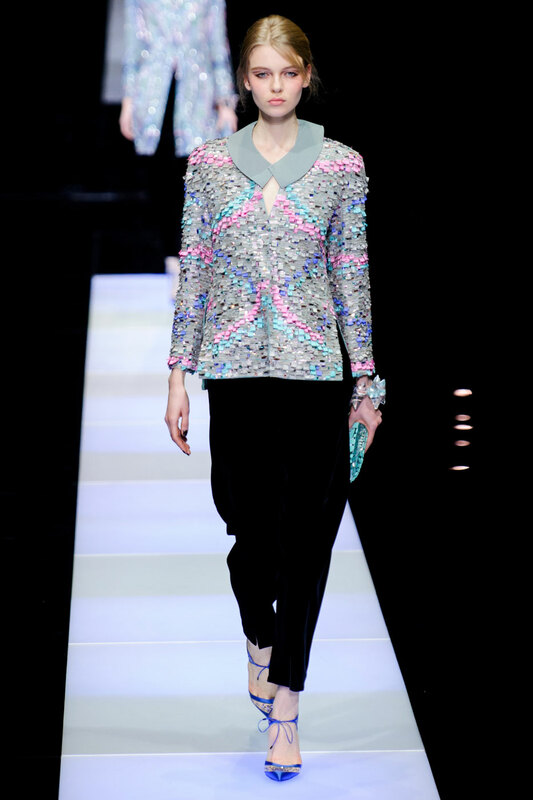 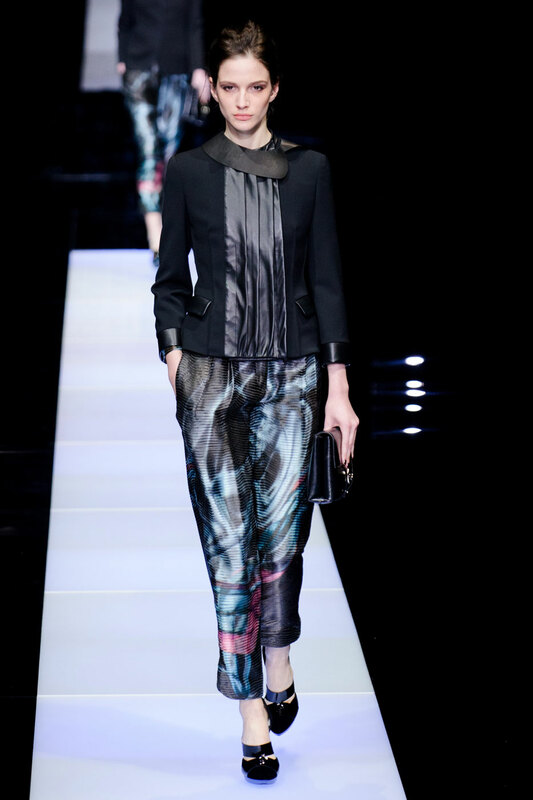 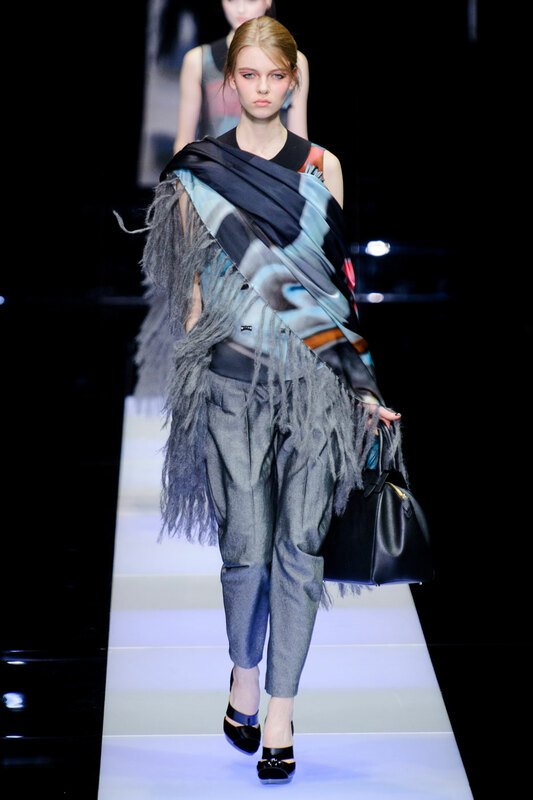 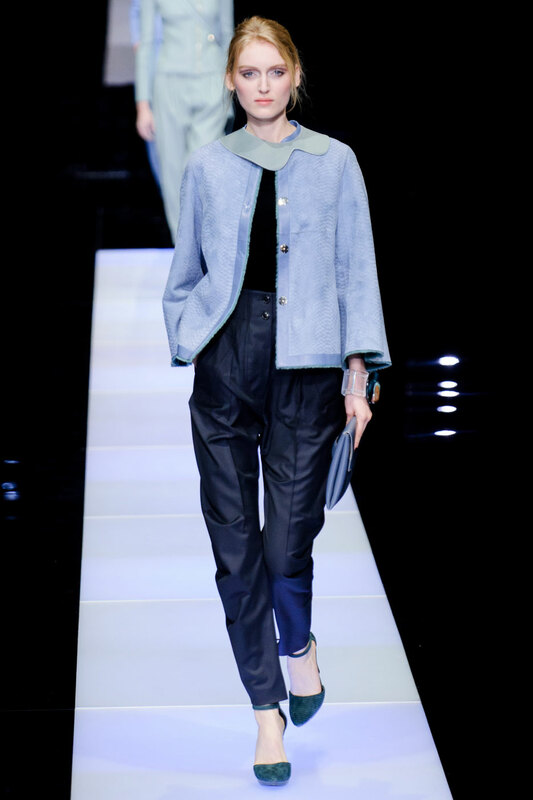 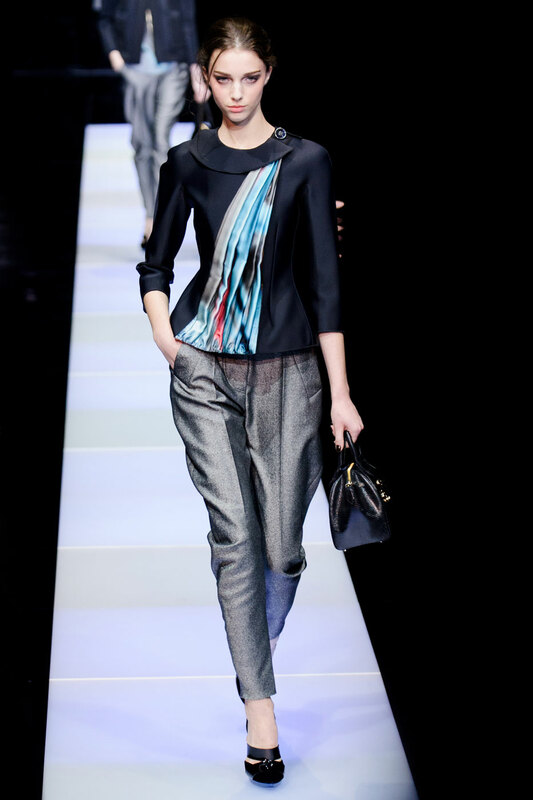 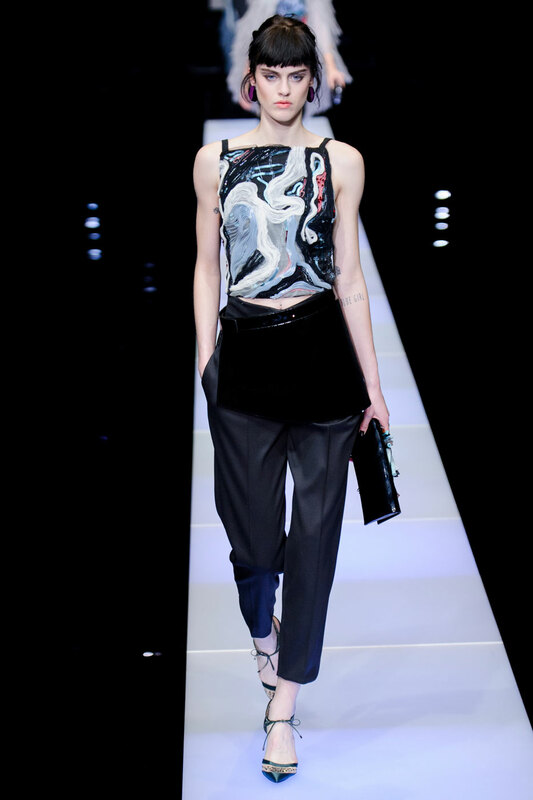 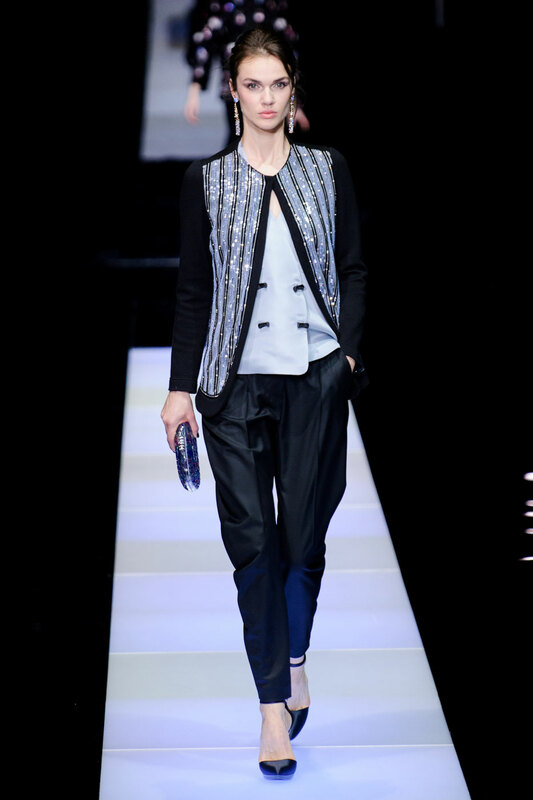 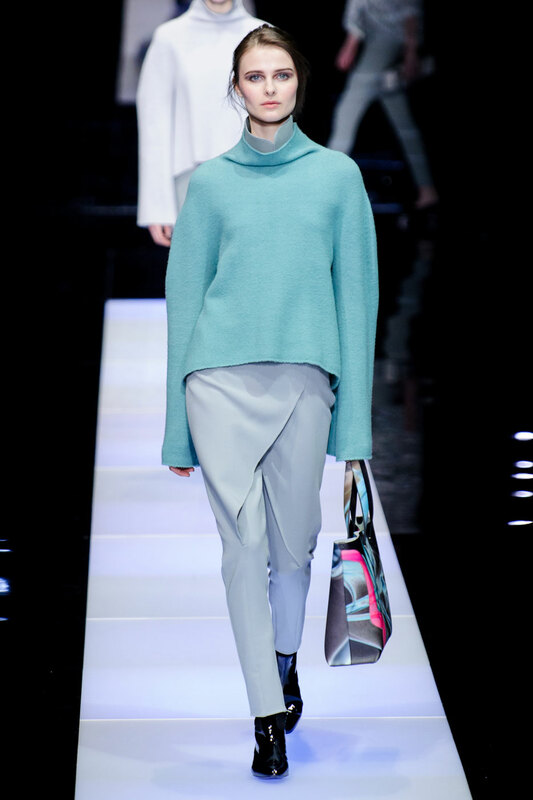 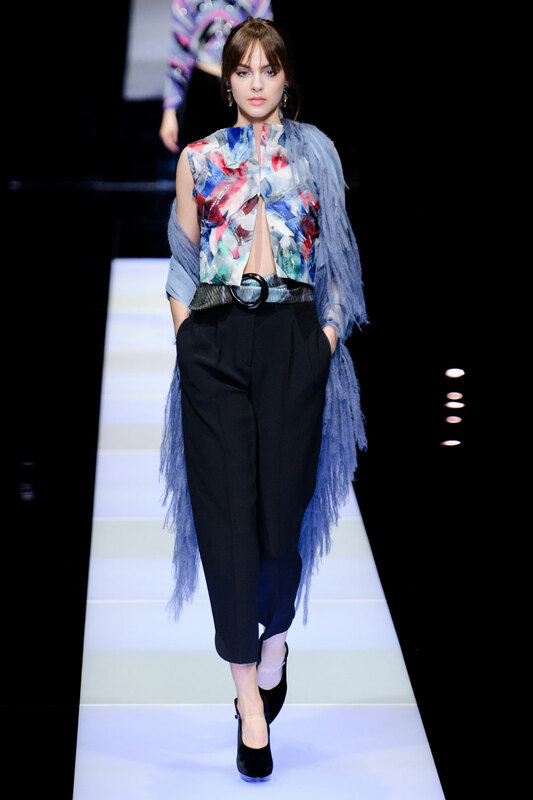 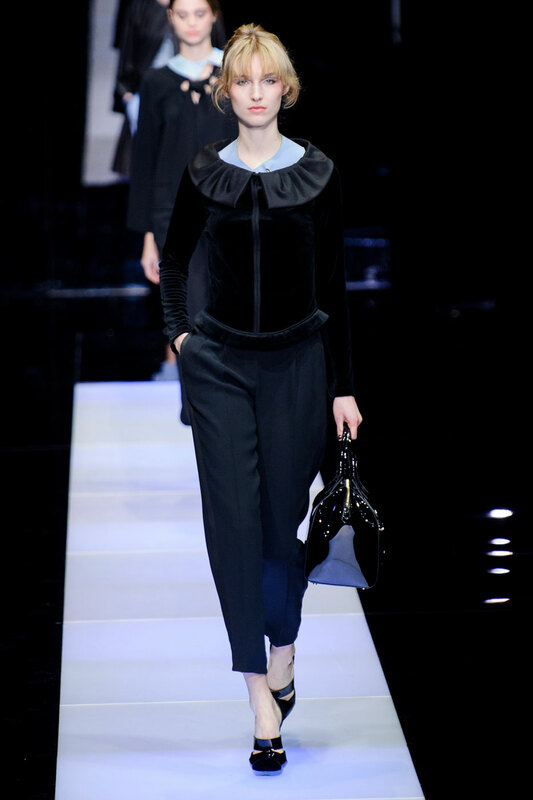 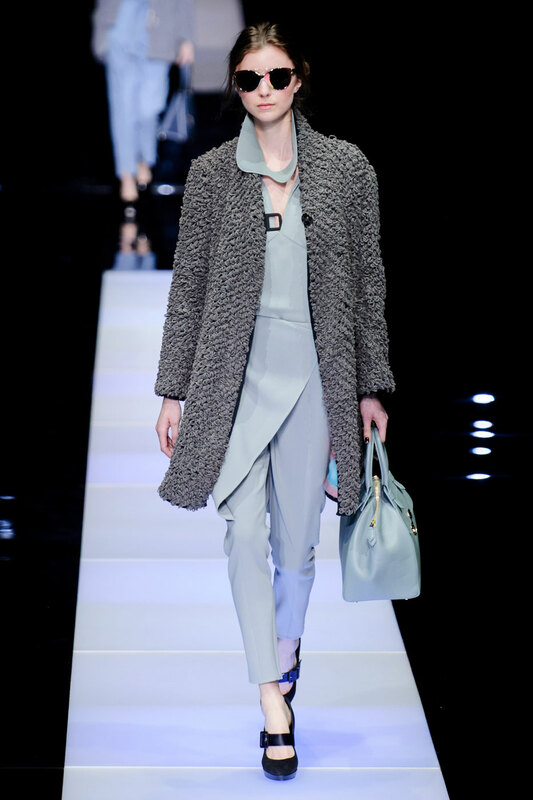 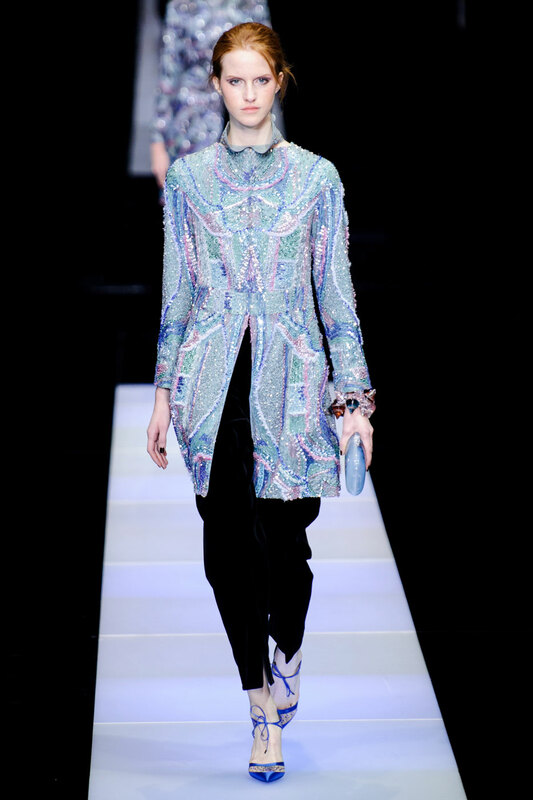 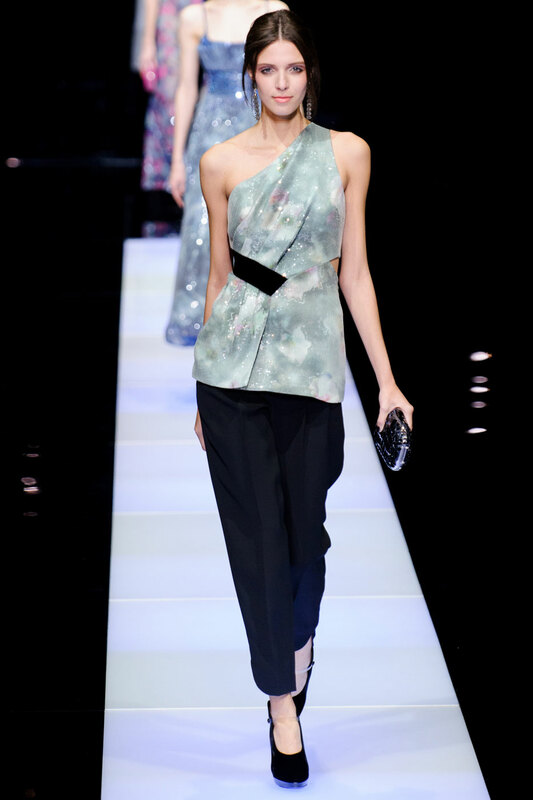 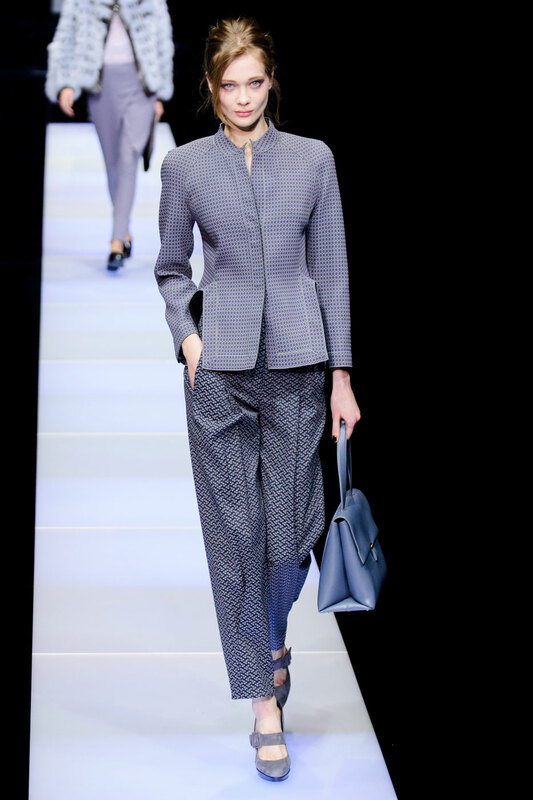 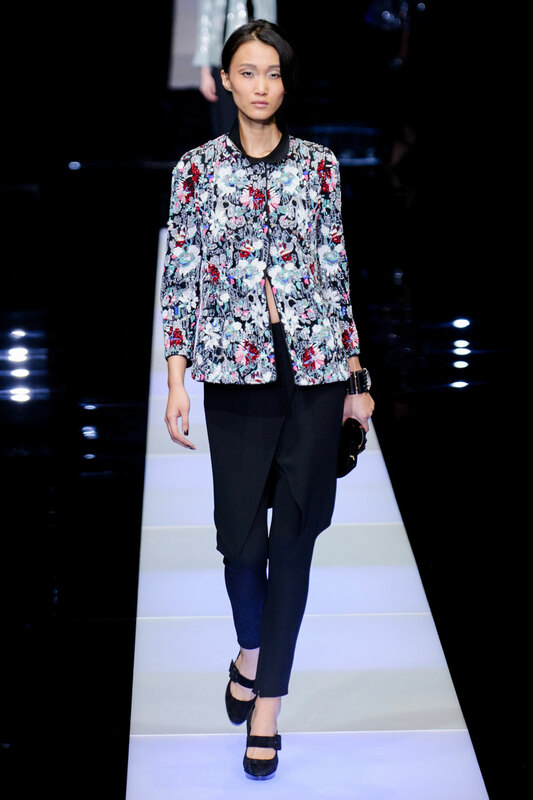 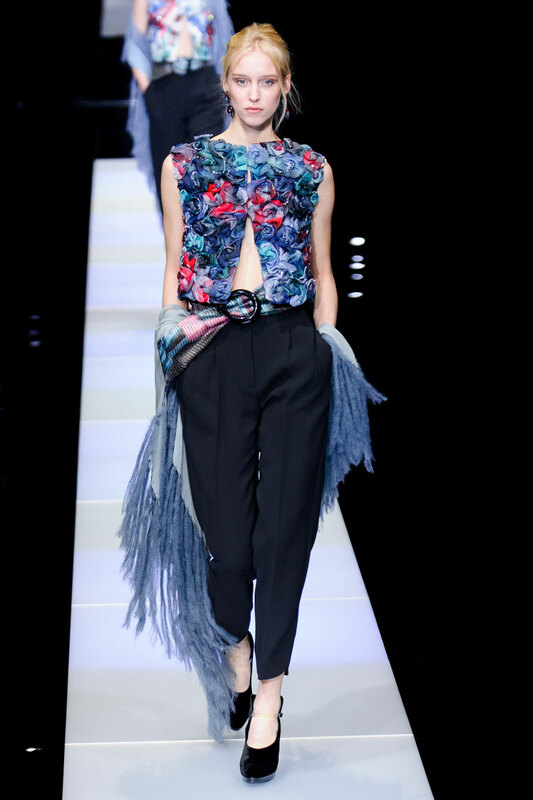 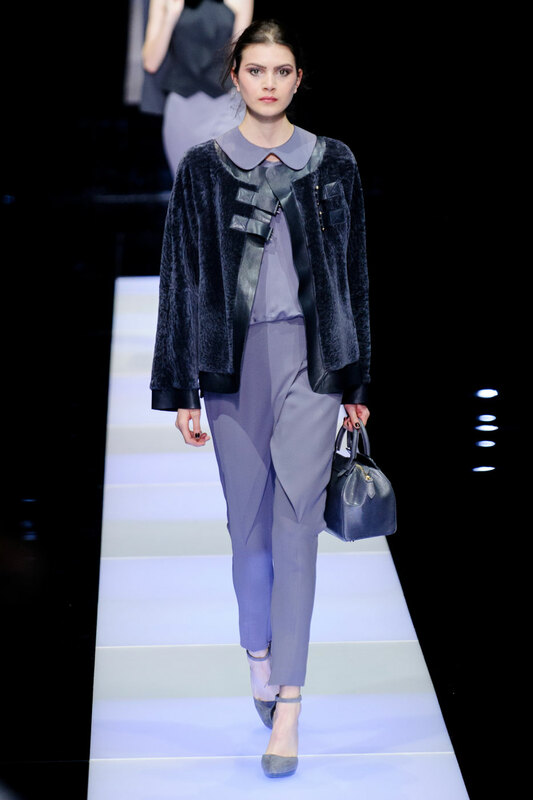 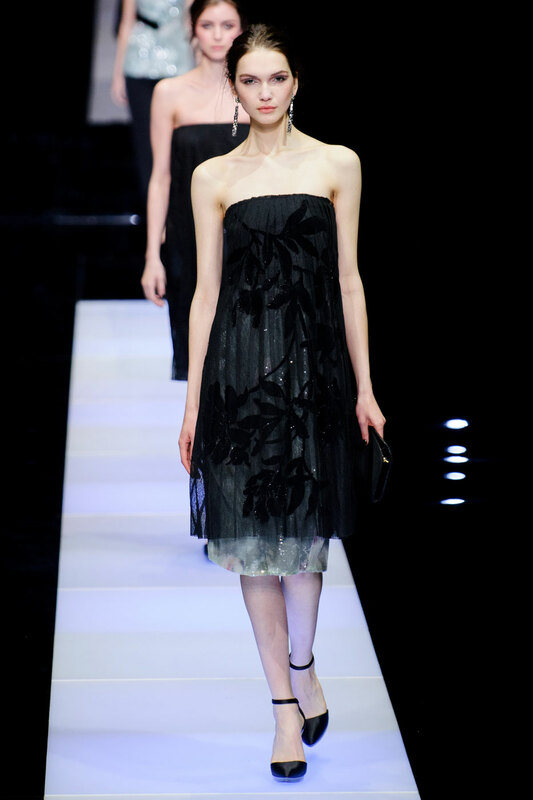 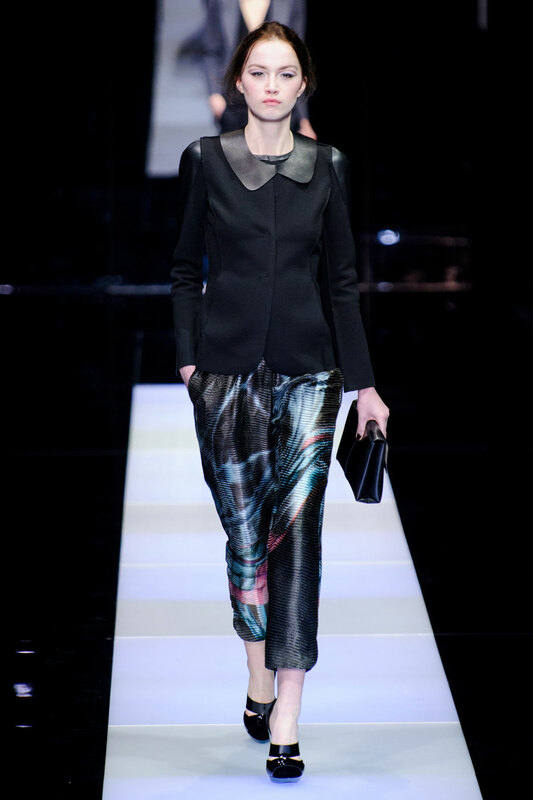 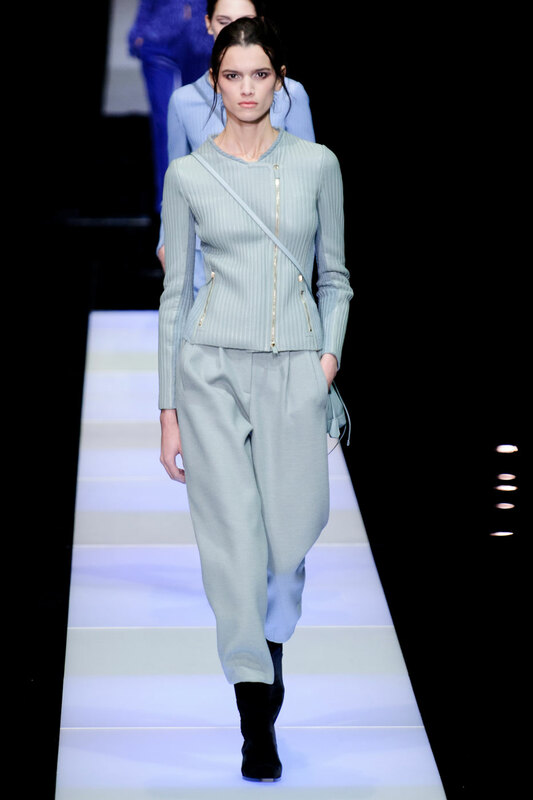 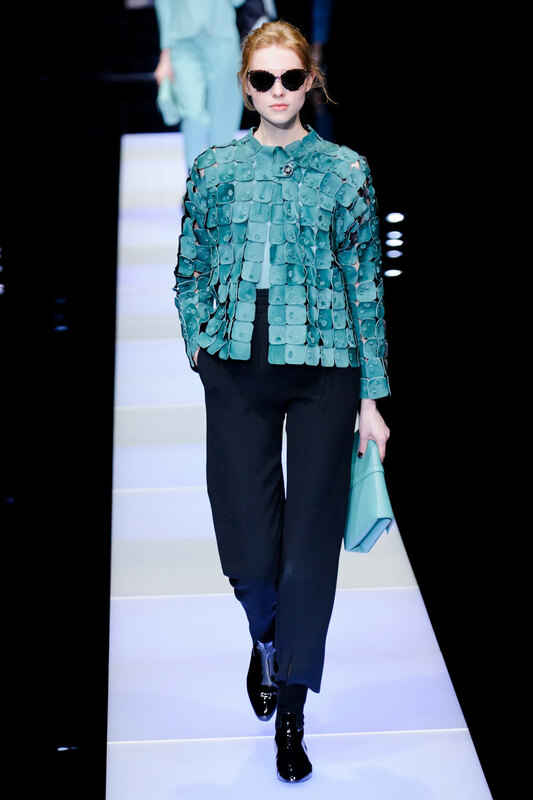 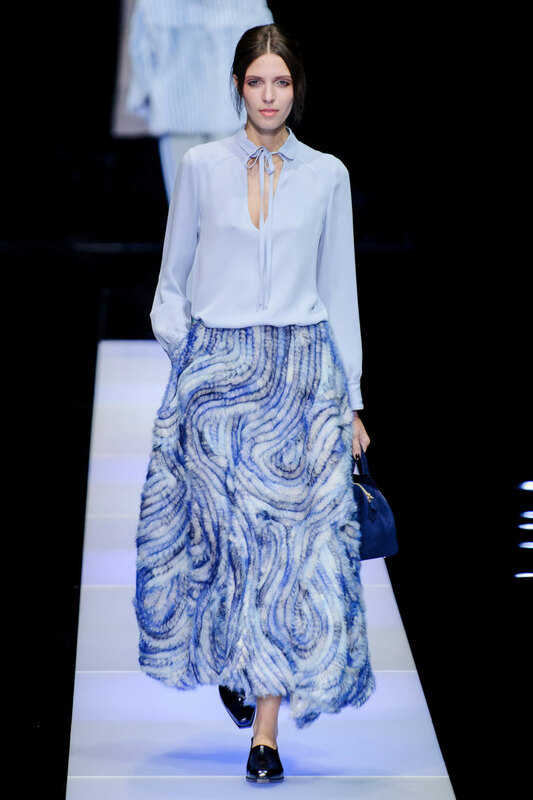 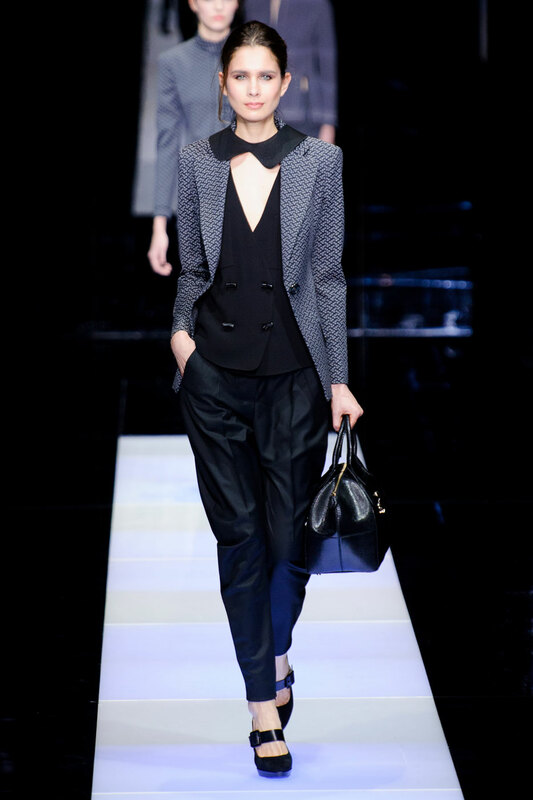 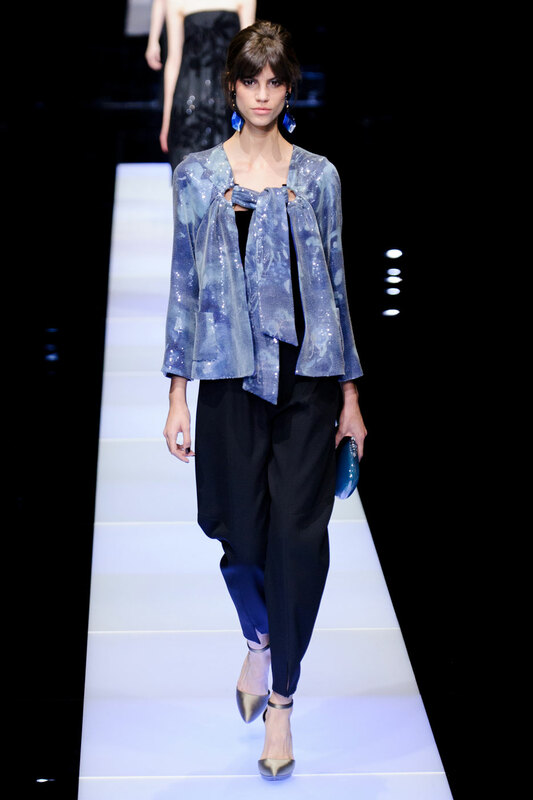 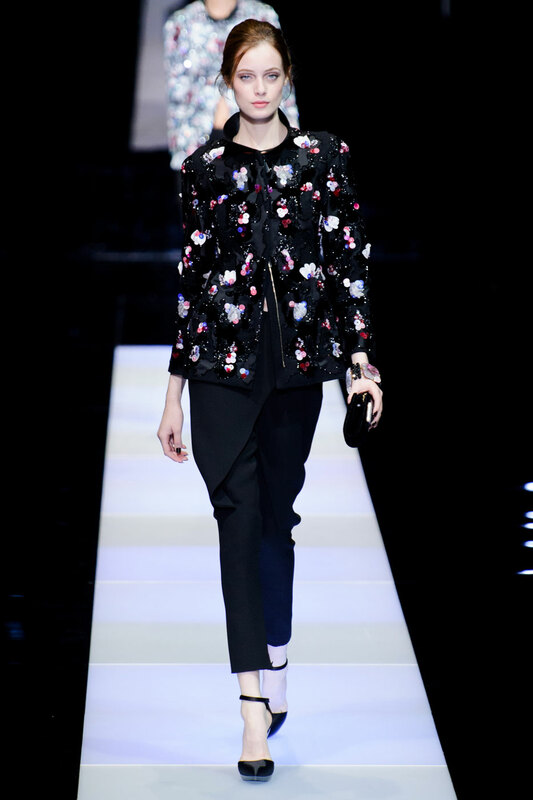 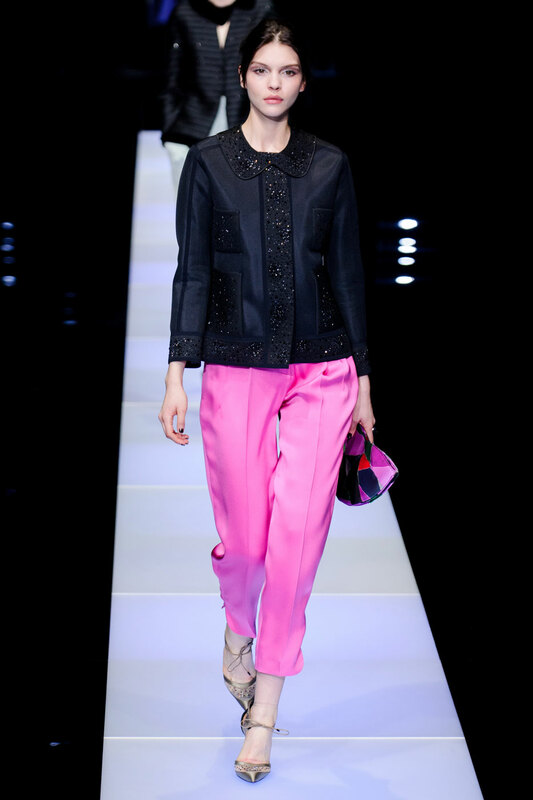 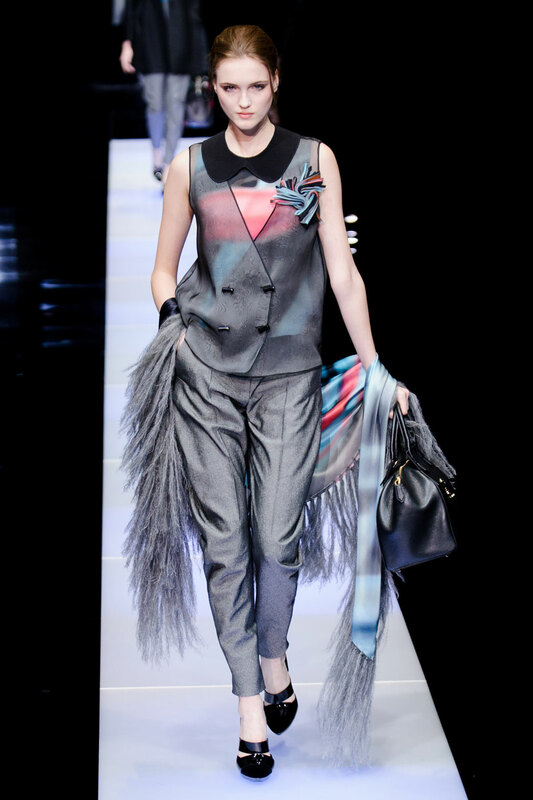 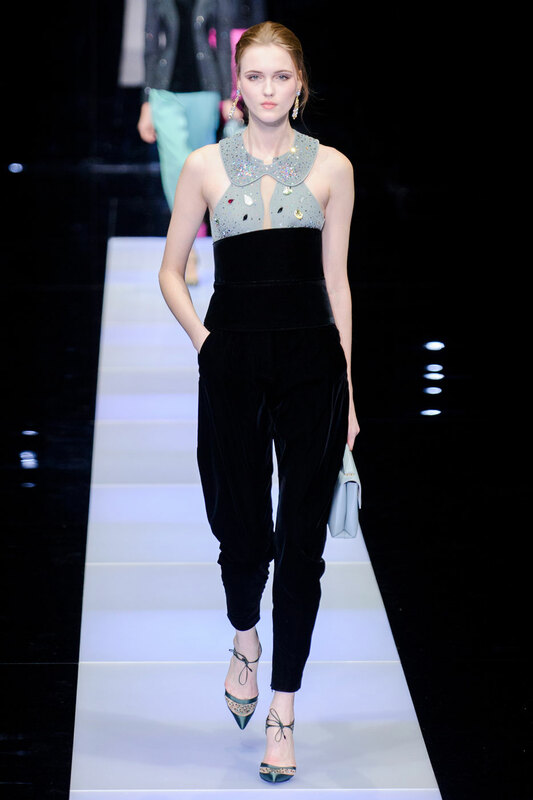 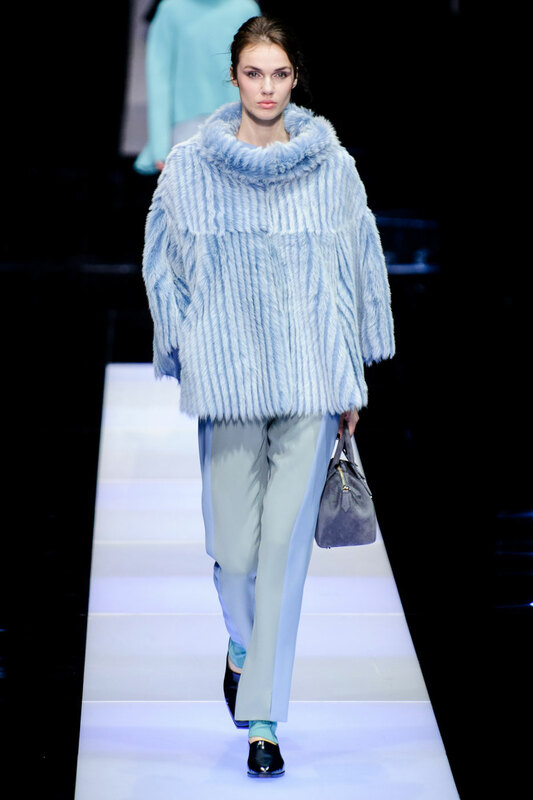 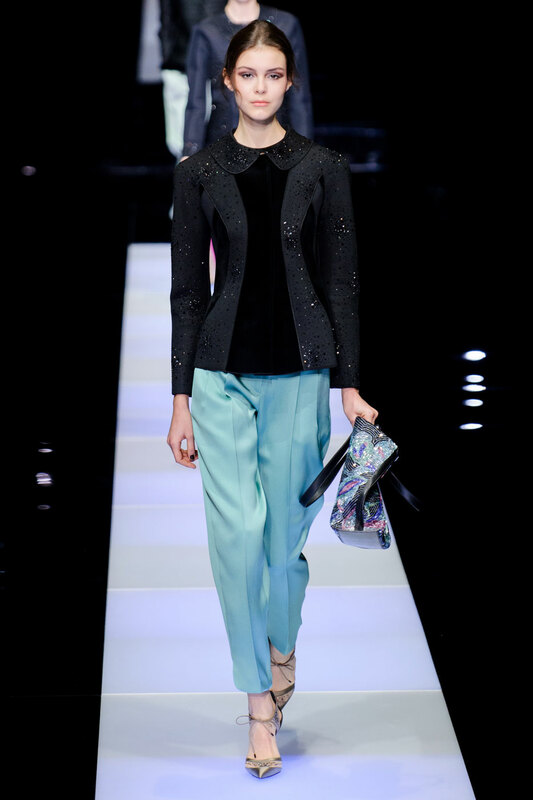 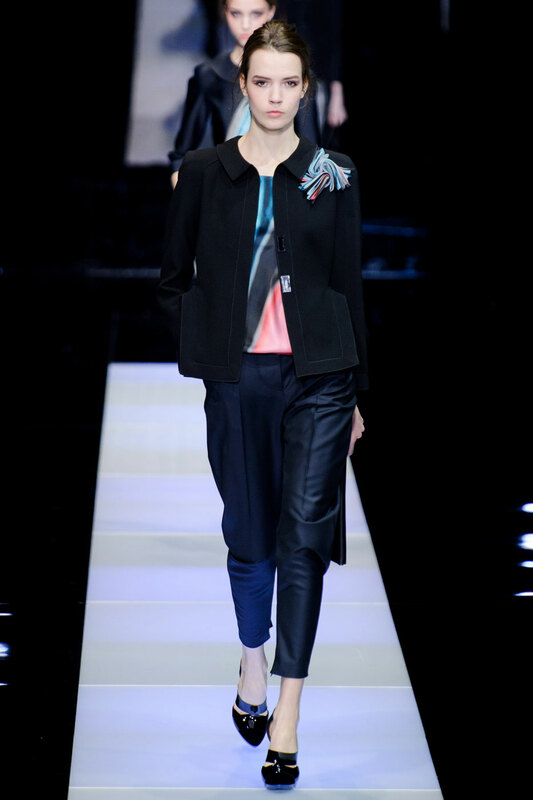 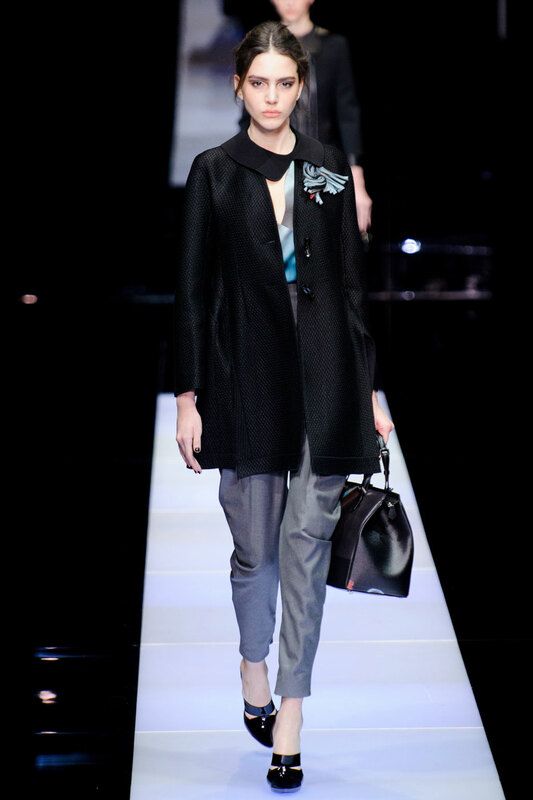 Giorgio Armani Women Autumn-Winter 2015 – The collection screamed elegance, as a more relaxed yet chic edge was brought to the catwalk this final morning in Milan. 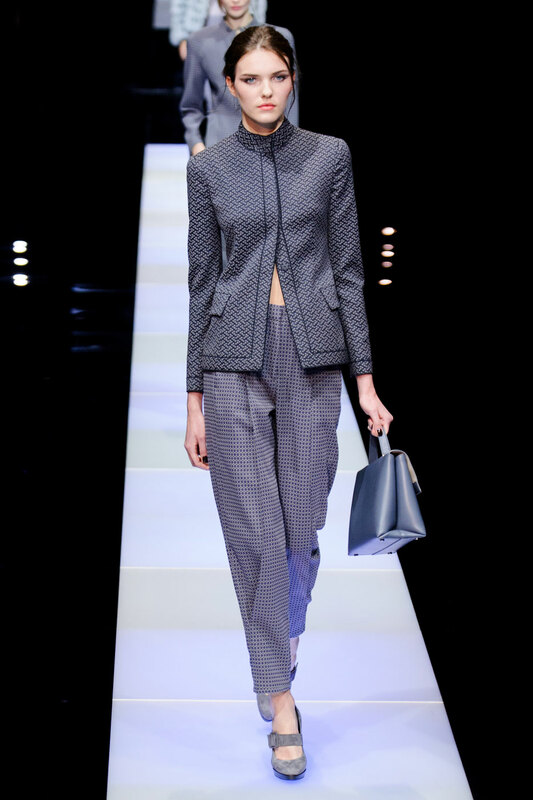 By none other than Giorgio Armani. 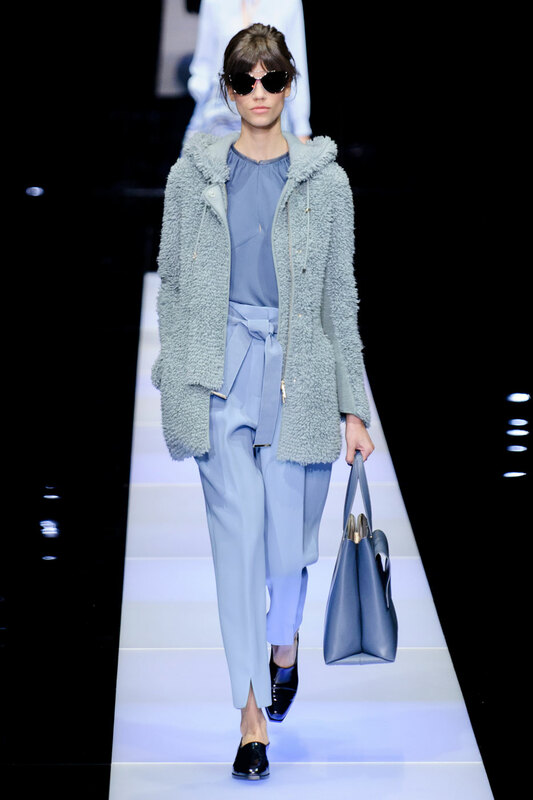 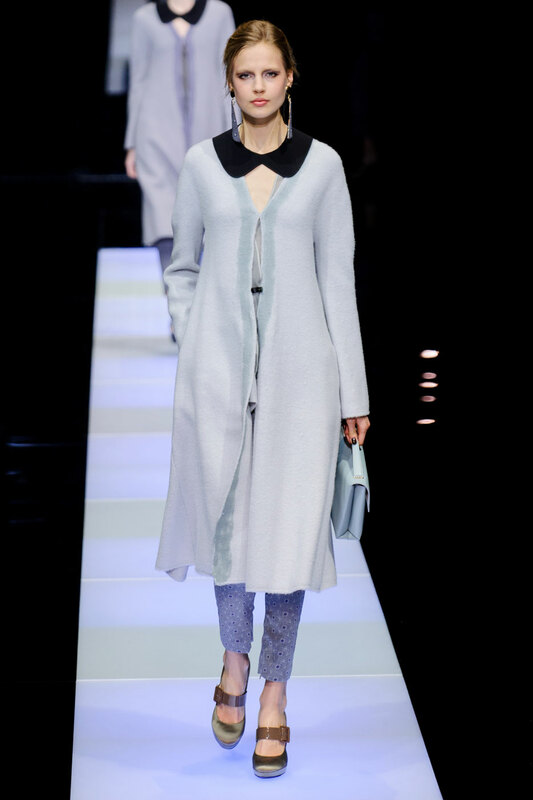 The 85 piece collection mainly consisted of icy blues and greys, focus drawn to details. 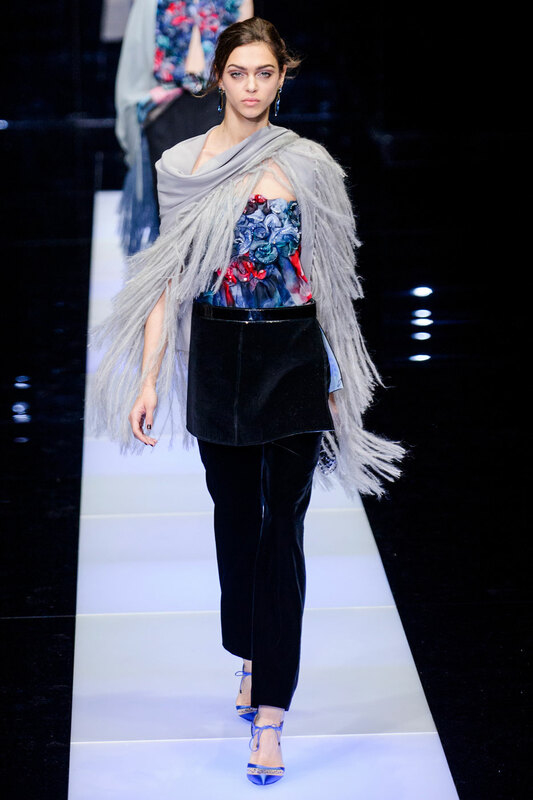 Gorgeous marble silk shawls were lined with feather fringing, pronouncing delicacy, a beautiful alternative to the classic knit design. 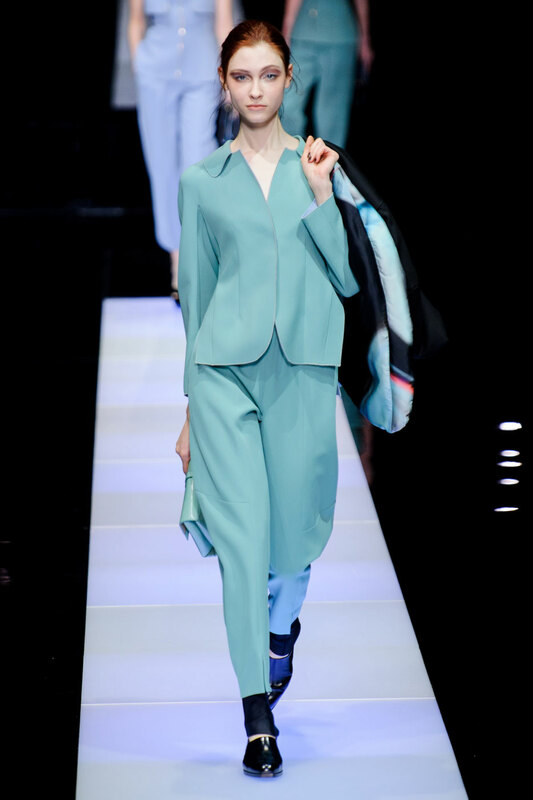 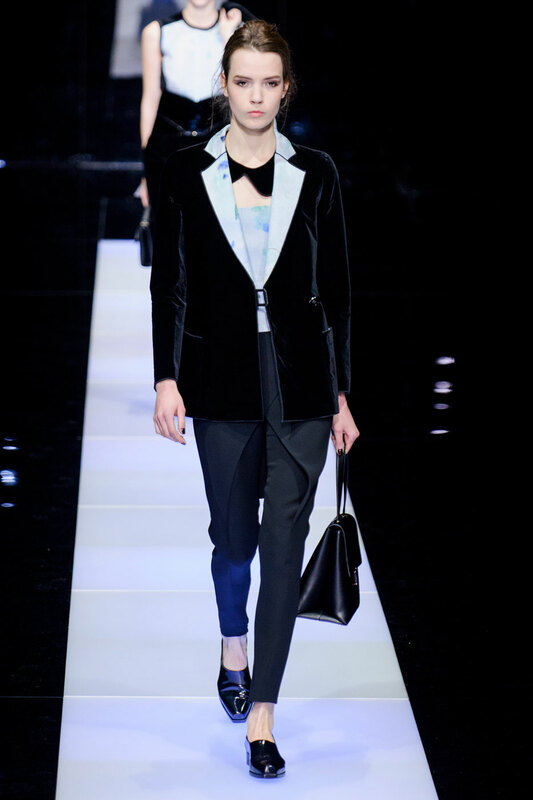 Giorgio Armani delivered beautifully on tailoring as expected, jackets being a core focus with statement peter pan collars on almost every look. 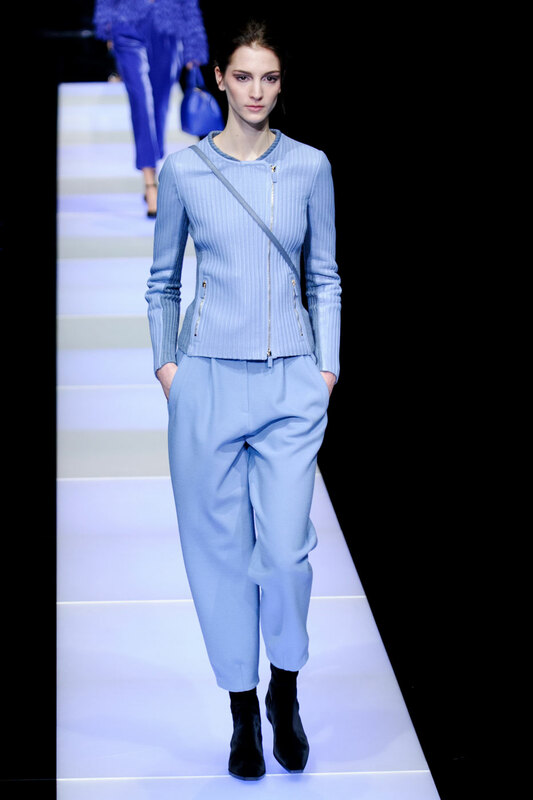 However some tailored pieces felt softer, silky trousers increased femininity and insinuated a more ‘laid back’ approach. 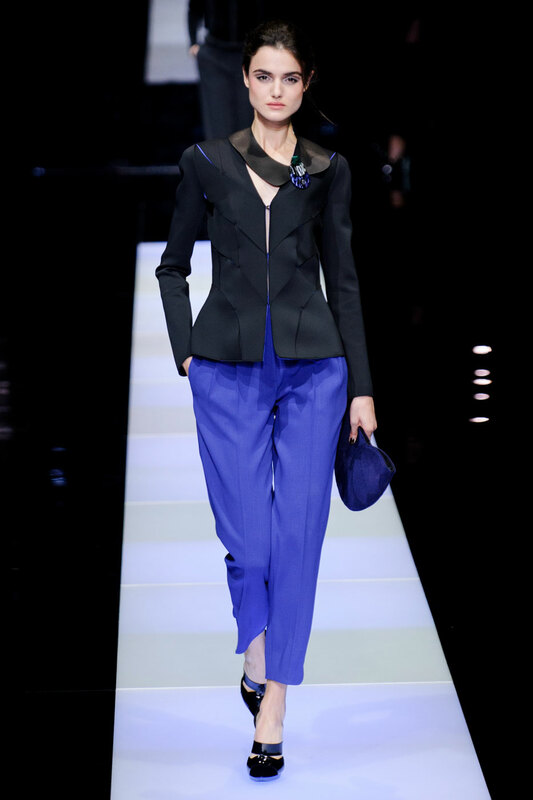 Loose fitting, cocktail style cuts complimented sharper structures, drawing attention to details in tailoring whilst adding a sense of luxury. 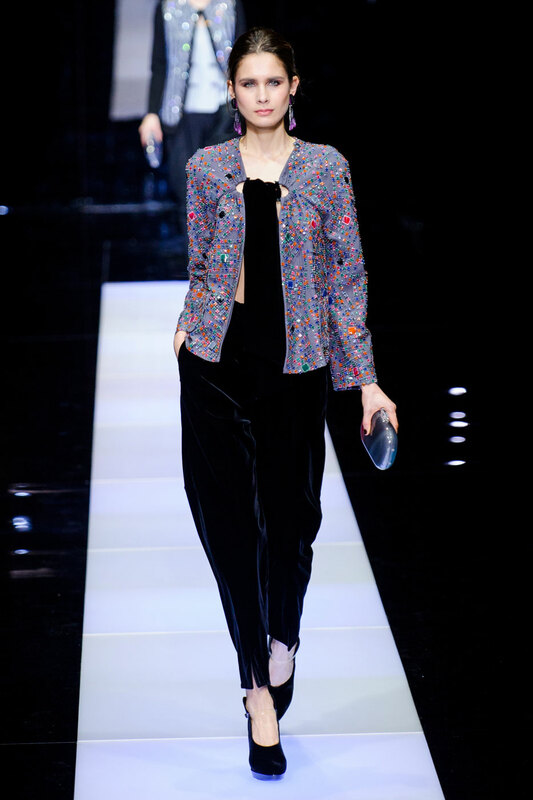 Rich textured velvet jackets, fluffy bombers and patent coats all made an appearance, enhancing the elegant edge to the evening looks. 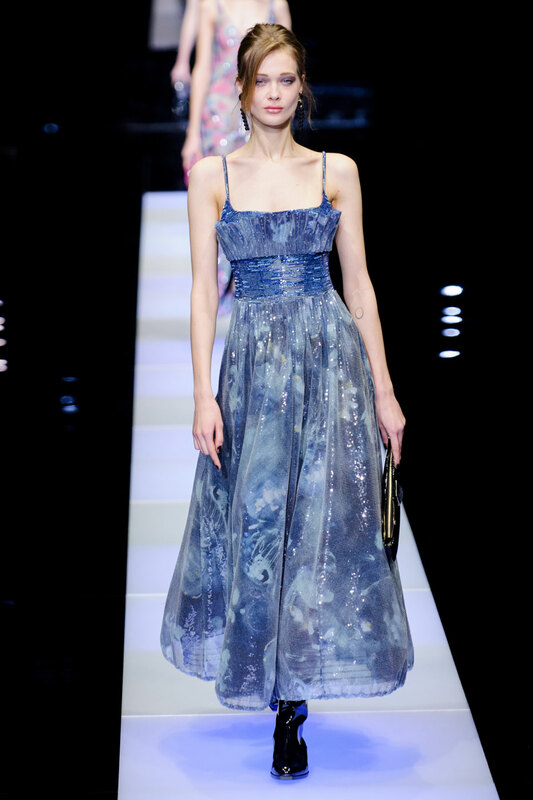 The finale consisted of six utterly beautiful cocktail dresses, intricately embellished in brighter, extravagant colours in comparison to the darker tones used before. 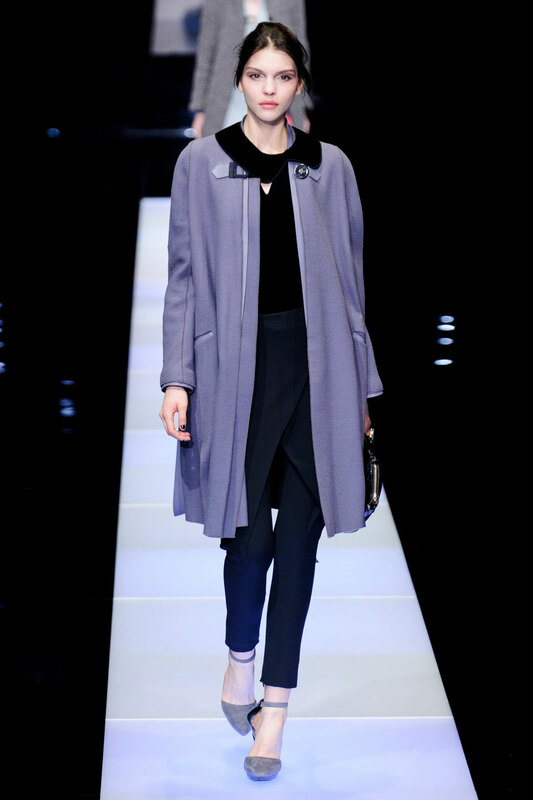 A perfect finish to round up an utterly indulgent collection for the fall.